Stevensons design, manufacture, supply and install corbels these are often part of a project where Stevensons are involved in forming arches, or complete decorative moulding schemes. Corbels and brackets provide a stylish finishing touch to arches, beams and other architectural details. We offer a standard range of Stevensons-Stone® corbels and brackets and also design, manufacture and install bespoke corbels & brackets to order. Remarkably Stevensons-Stone® can also reproduce the effect of materials such as Sandstone, Portland Stone, Limestone, Stainless Steel, Oxidised Metals (e.g. Bronze / Copper / Brass), Timber and Leather. 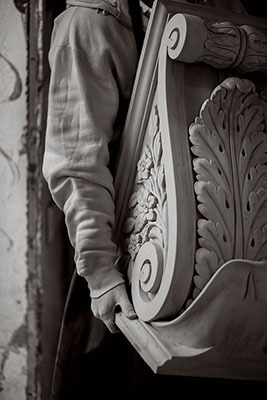 Our Corbels & Brackets are hand cast to order from moulds produced in-house by our highly skilled modelling team.